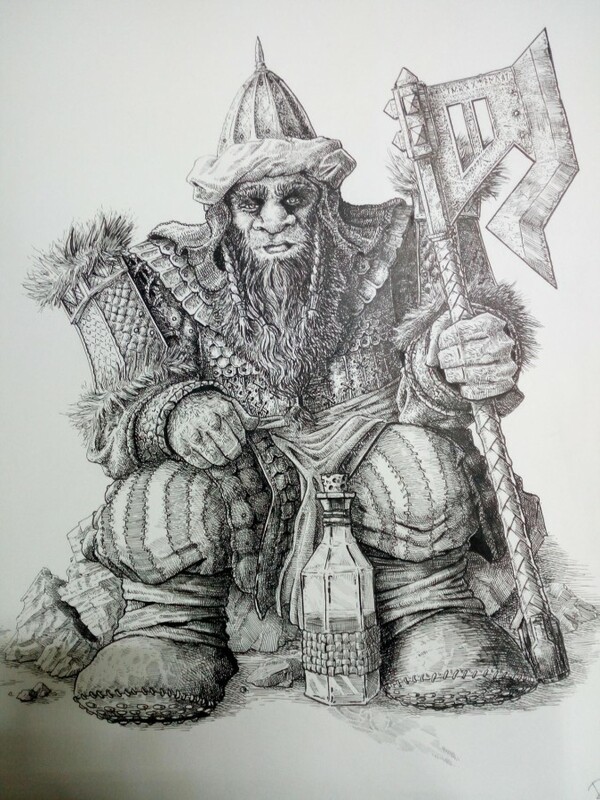 Artwork by DracarysDrekkar7, being a Nabatean fantasy Dwarf concept for the Copper Mountains of the Ninth Age. This artist has a deft hand at illustrating fantasy, capturing both an impression of rugged life and craft refinement in fine detail. Check out his Deviantart gallery and leave him a comment!